As a writer, you create a connection with reader even before you start writing the book. It’s the smart thing to do. For me to create an online writing software and project management tool for writers it meant to listen to my friends writers as a digital project manager listening to his clients. It’s not as much about the inner workings of the technical solution offered but about the simplicity to use it. The decision to create your solution without external investment is difficult and requires sacrifices. The same applies to writing a book. Nobody will write it for you. In front of the screen you are alone facing your inner demons. Come up with a solution that is better than the existent one, but also better than the ones others are working on right now. 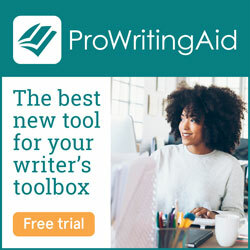 I’m not the only one that thought of an online writing software, but I might be the first to create an online project management tool for writers that will really help. Writing a book offers also the opportunity to create new inroads in any literary genre. The premise of your book might be the same that at least other four or five writers thought of. Your talent as a writer and hard work will make the difference. No online service is free. Would you prefer to pay with money or with a part of your life, your privacy, your needs, and desires? Facebook is not free. It takes a big chunk of your life and sells it forward. I don’t judge if it’s good or bad. But, for Asengana, I’m interesting in making money that will allow creating a better service and an important literary award (more on this in a year from now). Unless you’re a vanity writer which likes to have a book spine with his name on it on a shelf to impress the guests, you need to make money from your books. It will help you write the next book and write better. The last and the most important: keep your promises.